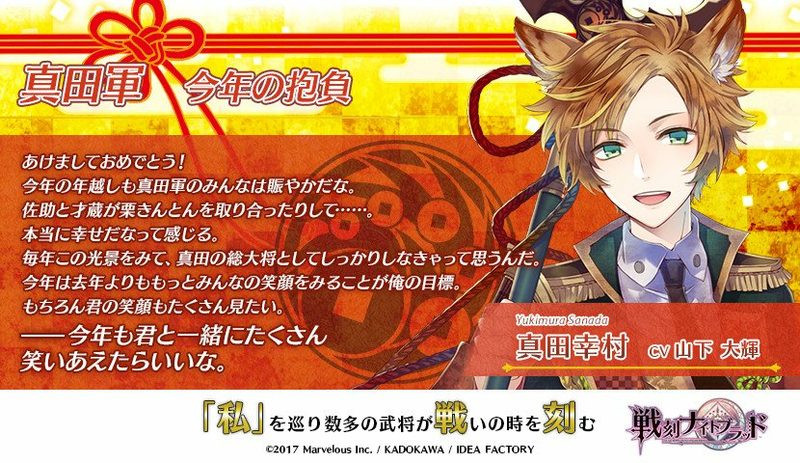 This entry was posted in Collaboration, Otome Games, Sengoku Night Blood and tagged Kadokawa, Marvelous!, Mobile, Otomate, SNB Kamanosuke, SNB Nobuyuki, SNB Saizou, SNB Sasuke, SNB Yukimura. 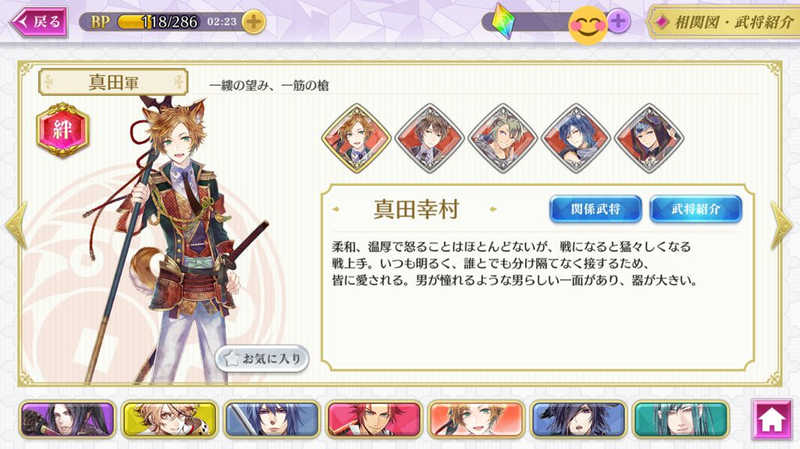 I learned my lesson with Shingen’s and this time there’s no delay, hurrah! 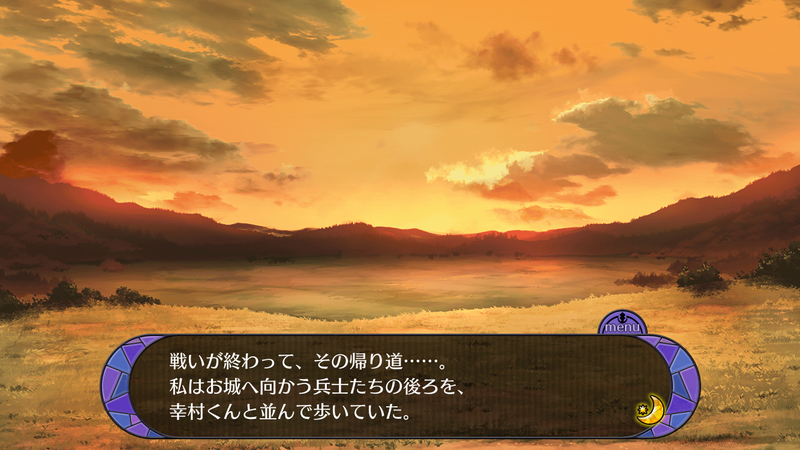 I started collecting his interactions the moment I got into Sanada’s route, haha. 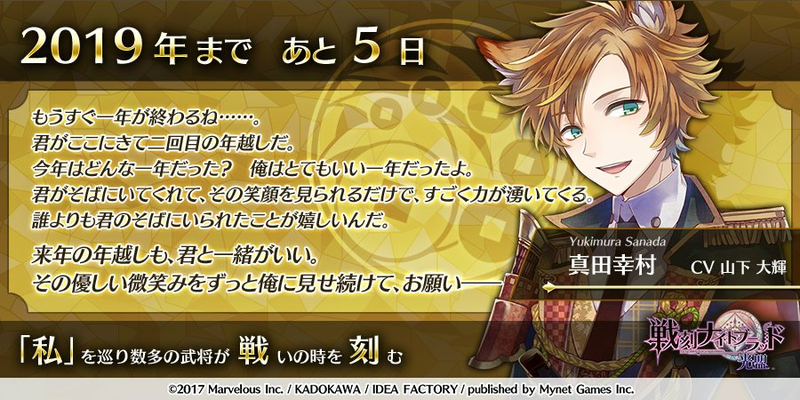 Anyway, please enjoy the sweetness overload because if you thought Shingen and MC were like a married couple then Yukimura and MC are even more so, surprisingly! 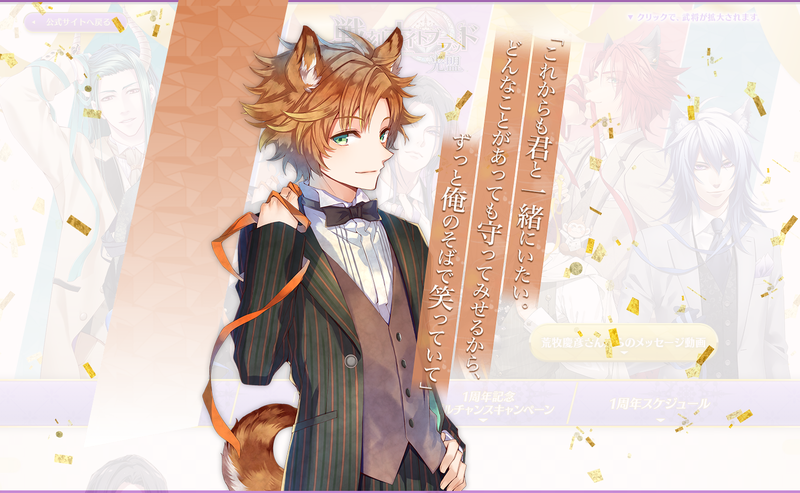 This entry was posted in Collaboration, Otome Games, Sengoku Night Blood and tagged Kadokawa, Marvelous!, Mobile, Otomate, SNB Yukimura, Yamashita Daiki. 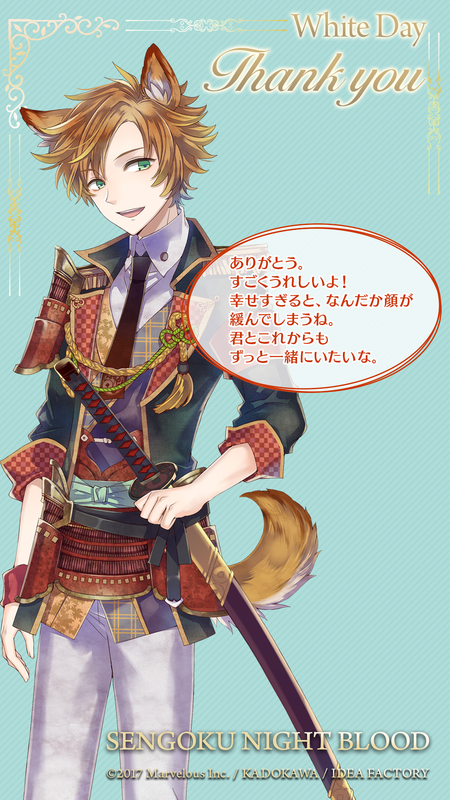 The battle ended and on the way home… I walked alongside Yukimura-kun behind the soldiers heading back to the castle. “I want to be together with you from now on as well. “Thank you. I’m really happy! I’m so happy that I’m grinning. 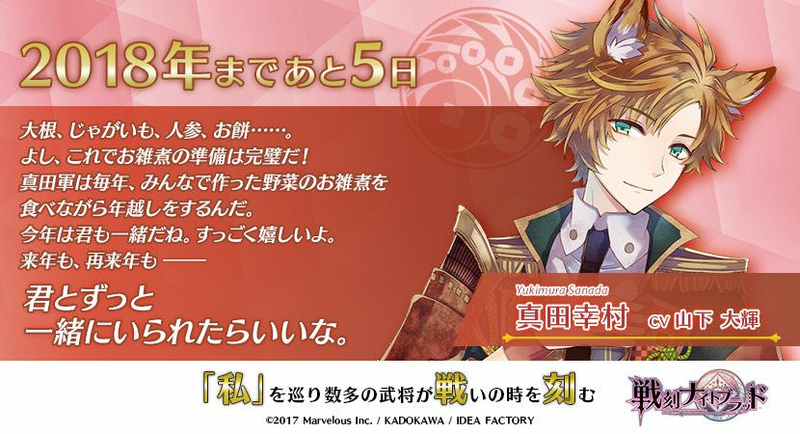 Here comes the innocent and pure Sanada Army! Happy New Year! Everyone in the Sanada Army was lively at this year’s passing too. Sasuke and Saizou fought over the kuri kinton…… and it made me think how blessed we were. Every year when I see this sight, I think about how I need to be reliable as the general of the Sanada Army. It’s my goal this year to see everyone smile more than they did last year. Of course, I want to see you smile lots too. 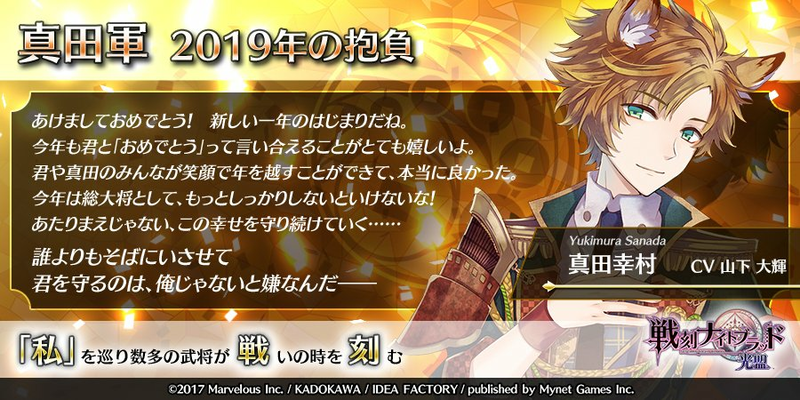 –It’d be nice to laugh a lot together with you this year too. Daikon, potatoes, carrots, rice cakes…… OK, with these the preparation for the zoni is perfect! Every year everyone in the Sanada Army passes the new year eating the vegetable zoni that everyone made. You’ll be together with us this year too, huh. I’m really happy about that. It’d be nice if next year, and the year after that– you continued to be together with us. (Cards about the anime were given out and they correspond with each episode of the anime. 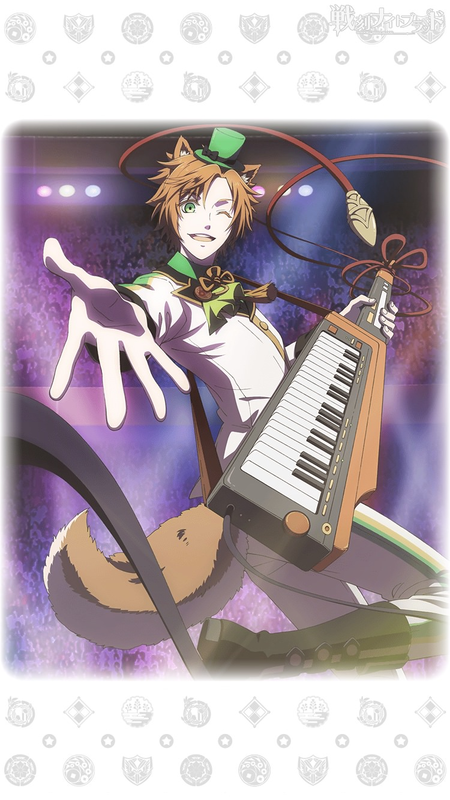 Yukimura’s second card takes place after episode 8 of the anime). (Cards about the anime were given out and they correspond with each episode of the anime. 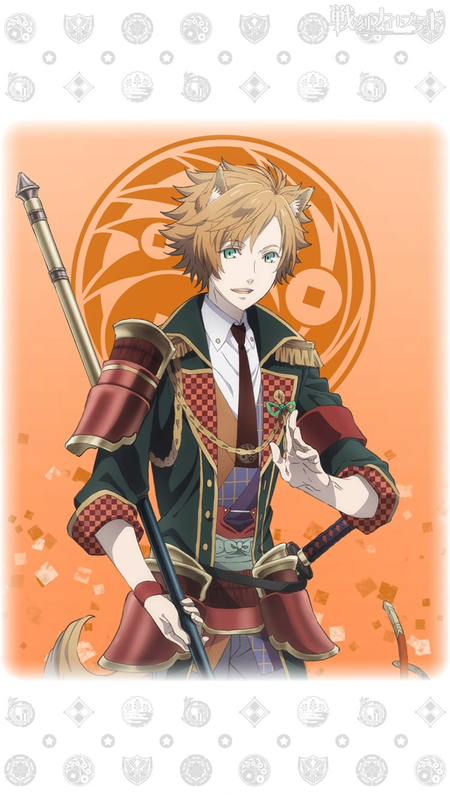 Yukimura’s card takes place after episode 4 of the anime).